Magento now has become one of the most popular names in the e-commerce content management system. We all know that Magento is specified outstanding in the online retail field, thanks to its robust features plus ability to manage thousand product without damaging the system. So it would be great if we can combine its potential in product management with a nice-looking skin that attracts customer for the very first time. In this article, we carefully research and gathered the best Magento 2 Themes that can meet even your most strict requirements. Let’s dig deeper! Magento 2’s UX & UI are designed for Store Owner and Manager, make they easily use the platform without coding. So if you’re probably a Store owner, you’ll don’t want to edit anything in the format of that theme cause by doing that, you’ll have to learn more about code. So it’s better if you can choose the right format for the first time. The food website is actually different than the fashion website, and they’re both different than a medical store. Considering these criteria allows you to choose the one that can transform easily as you want. If you choose to download free themes, some of theme do not offer much the flexibility in their product. But almost premium ones do. This is the most advantage. This is the must-have feature that every Magento 2 themes need. In the age of mobile and tablet, choosing an un-mobile-friendly makes your website lose a huge part of visitor each month. The Porto theme was perfectly fit for many people’s needs. It made an impression on me and at the moment I still think it’s a great product. I will surely suggest you or any of my friend use this theme by its quality on performing website content plus active support service when a customer wants to be helped fastly regarding a question about installation or bug fixing. 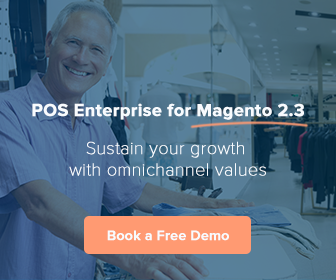 I think this likely 1 of top Magento 2 themes. Porto is the fourth theme I’ve purchased for my projects and I personally really like it. And at the moment Porto’s development team is still enhancing their product piece by piece – not like the other theme that they stopped supporting me. It gave me the idea of what is a quality Magento theme: boxed with powerful features, highly flexible and easily customizable. I can edit any element I want with just 1 or 2 steps to access the admin panel. So finally, I think this is a theme worth to buy and download. This theme also contains many built-in extensions produced by Aheadworks. For instance SM Camera Slider, Vertical Mega Menu or SM Tab Listing. In my opinion, just basic version of this theme is enough to make the endless possibility of editing your website. You just need to sit back, write your content and enjoy the whole beautiful website! F2 is a specially designed fashion and clothing Magento theme. This theme contains so much nice upgraded features and they’re all stated clearly in order that users can easily read and use them. F2 has an e-commercial design which urges visitors (customers) to buy and buy more product. It will help you build a fashion e-commerce store in an eyeblink and It follows all the basic rule of a modern website. It also contains unique features like Image Slider, Category badge ỏ Unique Catalog Pag. Besides the ability of totally customizing the store in the way we want. This theme also is very versatile and offer One Step Checkout feature which is must-have for every e-commerce website to reduce the rate of cart abandon plus give customers a better experience. Still feel less attractive? This theme has so many internal free & premium plugin and they give you at the cost of $0. So, if you’re a big fan of sports, just relax and produce unique content, let Athlete do the rest!